Christie's Lighting Gallery is a 5,000 square foot showroom located in Western North Carolina. Nominated as a top finalist for the 2012 Residential Lighting's Showroom of the Year, Christie's offers ALA Certified Services to help solve all your lighting needs. Everything from Chandeliers track lighting and ceiling fans Christie's is the place to help solve all your lighting needs. Thanks for visiting our online store we appreciate your business! 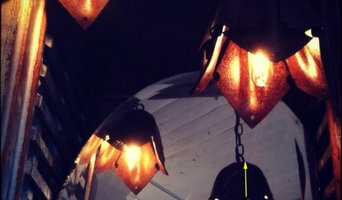 Splurge has been sought after by restaurateurs, hotels, retail stores and designers from around the globe for distinct custom lighting, antique furnishings, vintage objects and artful creations. The eye to identify and the ability to create unique and iconic designs are the foundational elements that the company has become known for. Splurge finds and creates iconic objects that transform spaces. Splurge has designed decorative custom lighting for the Delano Miami, Rutledge Cab Co. in Charleston, DCOTA CAY Miami and Storm Rhum Bar in Asheville, to name a few. Robert Nicholas has also designed and created art installations for American Eagle, Nordstrom and Starbucks. Robert redefines “traditional antiques” that often appear dark, stiff, mundane and formal. At Splurge, you can expect to find antiques and vintage furnishings as well as amazing objects and decor that boast incredible comfort, beautiful textures, and natural wears and patinas with tasteful artistic lines, creating a truly one-of-a-kind offering. Joslyn Fine Metalwork opened it's doors in 1985 with a single goal. To offer beautifully designed and unique pieces of ironwork. Quality workmanship is the cornerstone of the business along with a genuine desire to give our clients superior service and personal attention. These ideals allow us to create a truly unique and personal experience and ultimately, works of art that reflect our client's personal tastes and style. We here from many of our clients that they have never seen anything like the pieces we create. It is our willingness to think outside the box. Imagination and dedication to our ideals bring this work to life. We will continue to create our work as long as we are able and have clients that appreciate the unique over the mundane. After 30 years we still get excited about beginning new projects. With enthusiasm and passion, we dedicate ourselves to every piece. We are confident our clients will be very pleased with the results. Hand crafted lighting design ~ table and floor lamps. 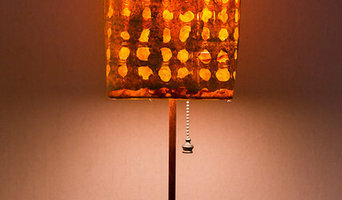 Natural materials & luscious handmade papers to create contemporary colorful lamps for the home. In a world of mass production, a well-designed handmade object has intrinsic value. Enjoy the spirit of nature illuminated in your home with a custom crafted lamp from Luminosa Lighting. I choose to work with natural materials to create my line of table, floor and wall lighting because those elements truly inspire me. In order to diversify my design collections I source lush color and fibrous handmade papers from around the world as well as selected fabrics. Inspired by brilliant autumn foliage in Western North Carolina, I collect and create original surface patterns for my printed collection of shade designs. In this way the vivid colors are captured and printed onto a material made to be illuminated. My goal is to create contemporary lighting that honors the natural world, translating that spirit and warmth into a poetic expression of light and form. Lighting Gallery of Banner Elk is a great place to shop for Lighting and Light Fixtures in Banner Elk, NC. If you are looking for lighting fixtures or Chandeliers for your new home or your next remodeling project in Banner Elk, NORTH CAROLINA make sure to contact the professionals at Lighting Gallery of Banner Elk. Glass Artist producing lighting , sculpture and custom made glass. Think about how you plan to use each area of your Marshall, NC home. It's important to communicate to your North Carolina lighting designer which space will be used as an office and which will be a media room, for example, as these will require very different lighting methods. In addition, consider how you'd prefer to control the lights. Lighting technology today includes dimmers, sensors, photocells (that let lights react to the amount of daylight in a space), programmable scene controls (that let you program different settings for varied lighting) and whole-house lighting controls (that let you control all or a portion of your home's lights from one source), allowing you to tailor your lighting controls however you wish. Find a lighting designer on Houzz. 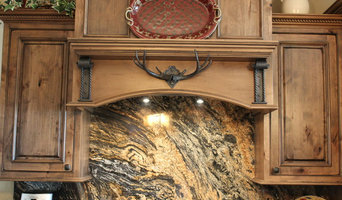 Narrow your search in the Professionals section of the website to Marshall, NC lighting designer. 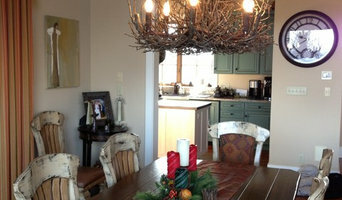 You can also look through Marshall, NC photos by style to find a lighting design you like, then contact the designer.